We bought at around 31k miles in 11/2017 and are at ~145k miles now. We see between 80-100+ miles on the GOM at full charge, depending on temperature. We drive it like a normal car, but in congested Santa Cruz that means mostly slow speeds. We switched our PG&E rate plan to EV-A and shifted high energy use items like laundry and dishwasher to the offpeak hours as much as possible. The end result was a barely noticeable increase in our electric bill (it was high already, we have three millennial children living at home). Cost per mile is insanely low. The car has been simply wonderful and we plan to keep it as long as we can. WAIT WAIT WAIT WAIT WAIT! You bought in 11/17 @31K miles and now have 145K miles??? So you average 250 miles/day? In 2015 we traded in our 2001 "New Passat" GLX Wagon for a 2015 e-Golf LE. We extended the lease for 6 months, but turned it in at the end of month 37 when we got our Tesla Model 3 LR. The e-Golf has been our only lease and the only car we've had for less than 5 years. Has anyone owned one long enough to feel a substantial decrease in battery performance? I have had my car since July 2015. I live in one of the warmer parts of LA, but not the warmest. I keep my car garaged at all times both at home and at work, so it’s rarely out in the sun unless actually being driven. I have just under 27k miles on it. I have not measured the battery degradation but it is a little bit, but nothing like the Leaf it replaced. As mentioned above, I had a Leaf for 3 years. But that car took over daily driver duties for a 2006 Audi A3, which by that time was 7 years old and had over 100k miles. It was starting to become unreliable, and especially showed its age with oil consumption. Leaving the daily grind to the Leaf (and later eGolf) improved the Audi’s reliability significantly, and oil consumption dropped. I think it’s because the car didn’t have to do any more stop and go driving, just long distances. No regrets going EV. Just wondering what I will get for my third one (though I did buy out the lease on the eGolf). 2. Slow 3.8 kW on-board charger for L2. The eGolf addresses that with both a DCFC port and a nearly twice as fast 7.2 kW on board charger. Many times an hour or two on L2 (that is sufficiently fast) is enough to get me to my next destination, no need to spend the extra money on DCFC. See? I am so used to buying cars at 100k miles plus I accidentally fat fingered an extra zero! Correction, ~45k miles. LOL, yeah, I figured - just messing with you! I traded in my 2004 VW Jetta wagon 1.8t m/t with 230,000 and the original clutch. In the last 1,000 miles or so I got a horrid grinding sound from the driver-ish side of the engine bay; nothing wrong with the brakes, so I assumed it was something in the transmission failing. Between that and the upcoming inspection (that it would fail because of a bad O2 sensor), I was happy to trade it in. I asked the dealer to give me $750 for it. I hope the MKIV enthusiasts in the garage there picked it apart before the scrapper came. It had some nice stuff on it. edit: I can't believe I misspelled 'brakes'. Last edited by Chris on Wed Apr 10, 2019 9:37 am, edited 1 time in total. We traded (VW spared us having to pay the boneyard) a '97 RAV4 w/ 230K. Twas a very nice vehicle to work on, alas I had to do some filler work last year to get another season out of it. Won't miss the flex exhaust pipe rotting out every 2 winters, but I will miss the AWD. All in all, that was a nice chassis which yota should make into an EV (that specific body design). However we really like the e-Golf. We invested in a set of steel rims & studded Hakkapellita 9's for winter driving & we're aware of the range drop off in the colder months. However as it is a 2 mile commuter, we leave it plugged in (not charging) at home & use CarNet to start the heat off the house power for those 0-20'F mornings we are just starting to emerge from. The RAV4 was made into an EV from 1997-2003. That "1st Generation" version had NiMh batteries. There was extended support from a third party to maintain those batteries until 2017 or 2018. Now when people encounter troubles with the main battery pack, there is no support. 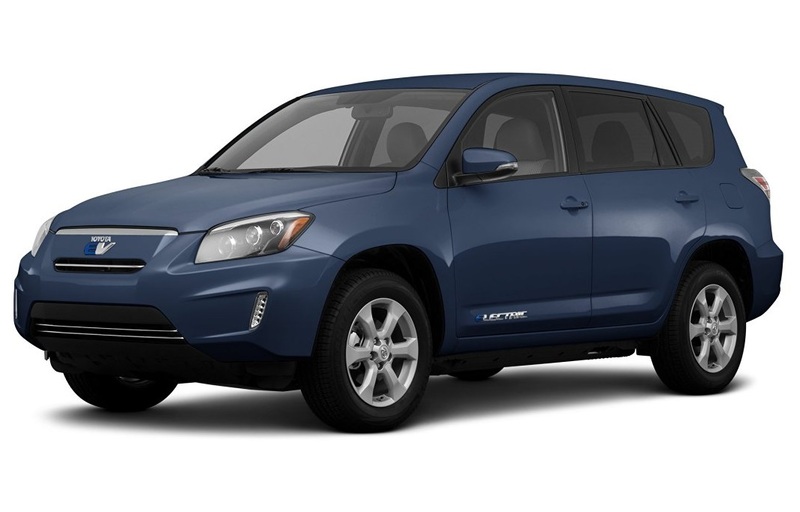 I have a "2nd Generation" RAV4 EV that has a Tesla battery pack and powertrain. They were produced for model years 2012-2014. Both generations are front wheel drive only. I upsized from a VW Lupo because I’d switched to driving to work and the Lupo was a terrible car for a lengthy commute much of it on the motorway. Loving my e-Golf. No issues with range and I think seeing the m/kWh figure is making me drive a bit slower and better. I plan to do longer trips in the summer; I always stop for coffee on long motorway drives so I’m really not worried about the range.